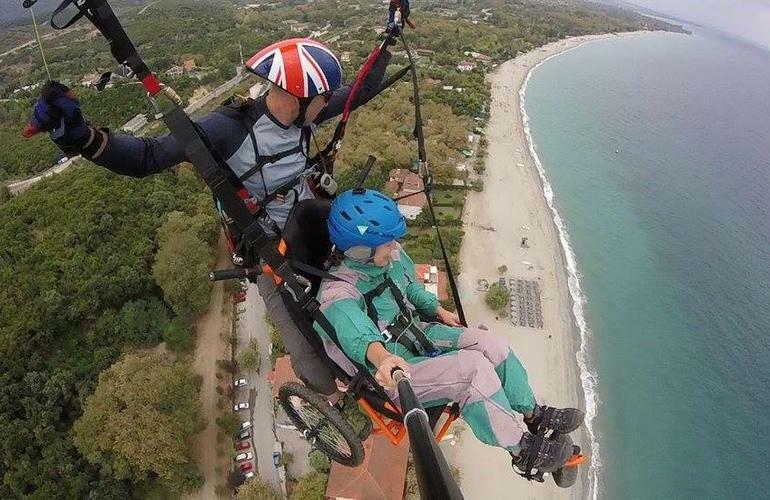 The "Flying Wheelchair" is a project run by Olympic Wings that offers the tandem paragliding experience to people with mobility problems. 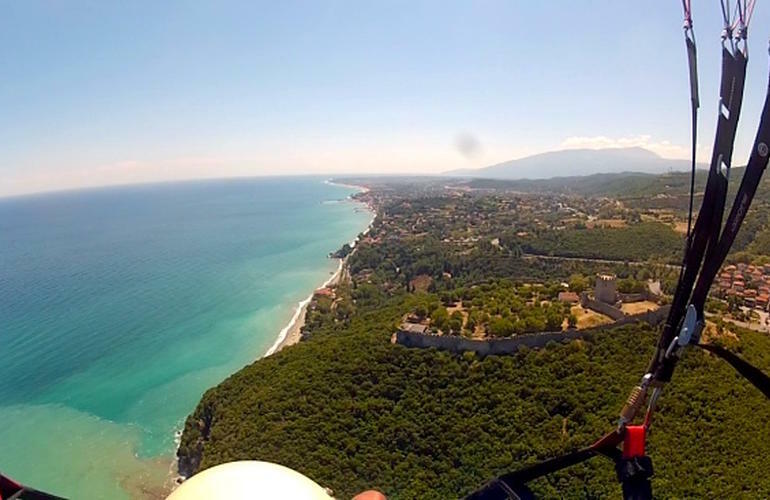 A great way to feel like flying over the mountain of Gods, the famous Mount Olympus. 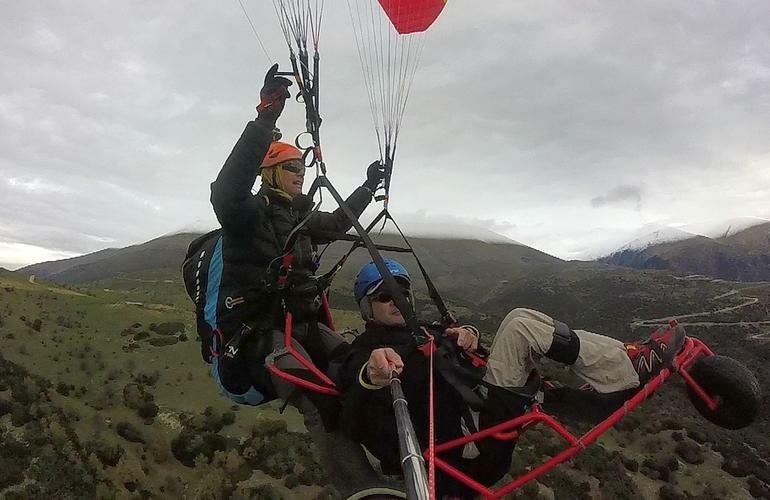 Olympic Wings is the only paragliding school in Greece, and one of the few in Europe to offer paragliding flights on wheelchair. 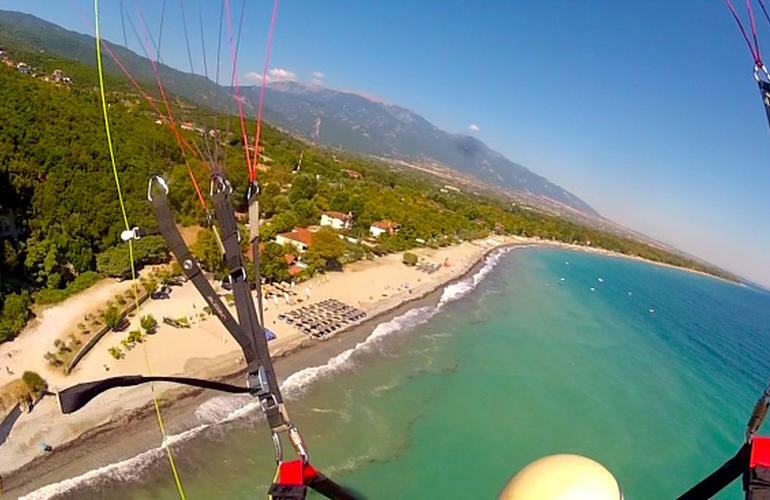 A fun and safe experience that you can enjoy while in Greece. 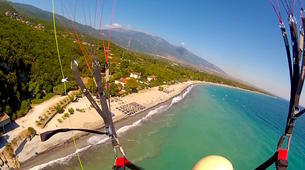 The pilots of Olympic Wings have more than 20 years flying experience in the area of Olympus. 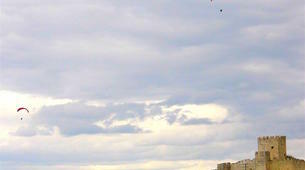 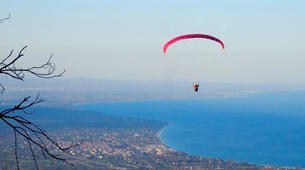 They have performed numerous paragliding flights and can ensure your safety while giving you the insights of a local. 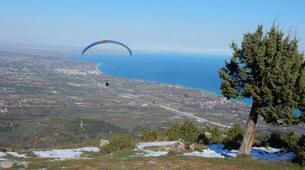 The take off point is on the mountain of Olympus, from an altitude of 600m. 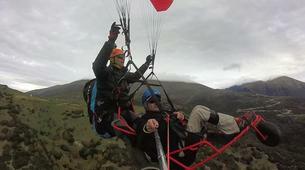 to 1300m. 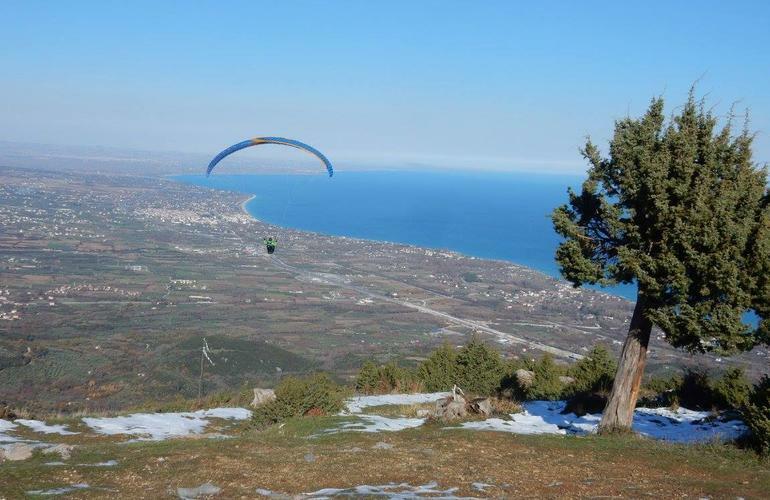 You will have the chance to see the breathtaking views to mount Olympus with the highest peat of Mytikas at 2.918m. 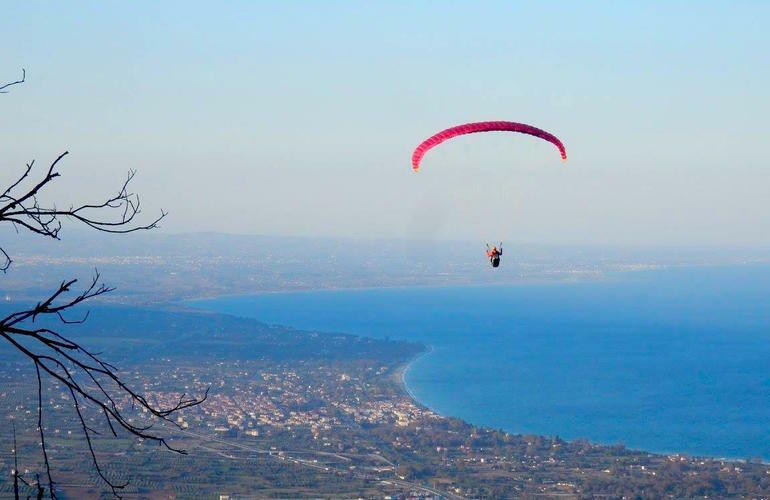 You will also see the picturesque village of Palaios Panteleimonas, the valley in between the mountain of Olympus and the Aegean sea, and the long coastline of Leptokaria, Katerini, Platamonas. 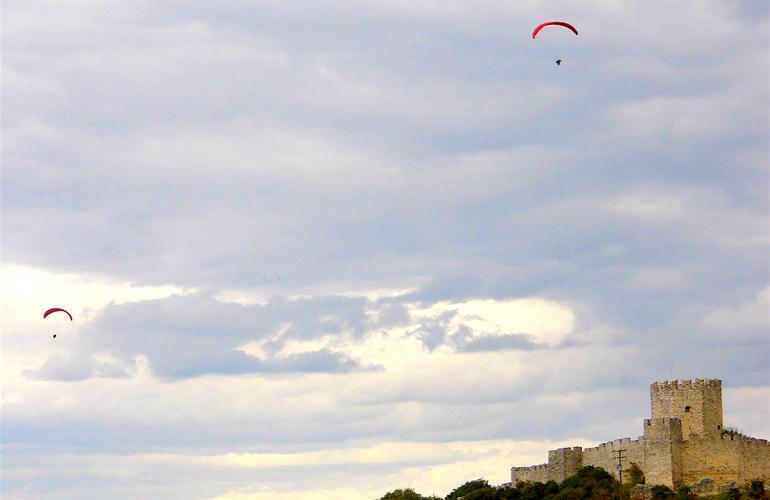 You will be landing on the beach, besides the famous castle of Platamonas. 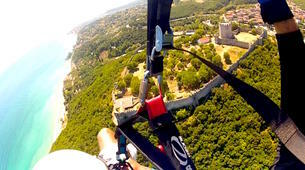 A medieval castle on the hill that was used as fortress in the past. 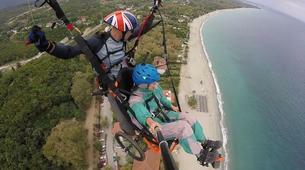 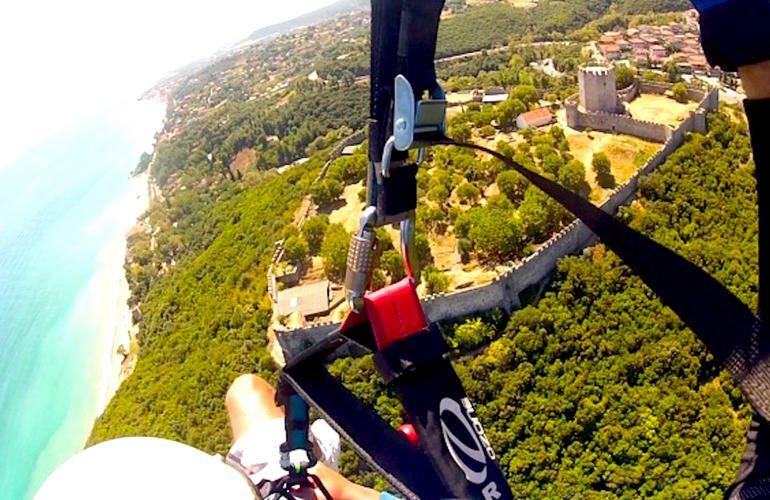 A paragliding flight on a wheelchair that you will simply adore!